Enjoy these photos that capture some of SSR's rich history. Do you have photos documenting SSR's past that you would like to share? Please contact us. 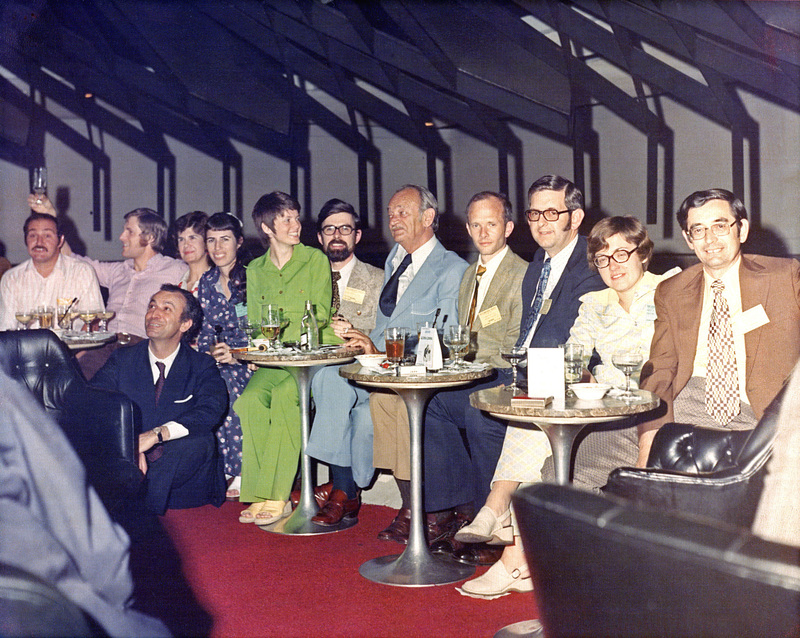 Left to right: Rich Falvo, George Foxcroft, Luciano Martini (seated), Janice Bahr, Nira Ben-Jonathan, Mary Hunzicker-Dunn, Dave Bullock, Andrew Nalbandov, Landis Keyes, Gordon Niswender, Mary Nekola, John Resko. Circa 1976-1979. Special thanks to Gordon Niswender, Brian Cook, and Landis Keyes for identifying the individuals in this photo. Dziuk P. "The Society for the Study of Reproduction: 25 Years in Retrospect." Biol Reprod 1993; 48(1):28–32. Hoyer P, Highberger C. SSR: The Generation of a Legacy. Society for the Study of Reproduction 2005. Produced by Patricia Hoyer, Ph.D., and Craig B. Highberger. Filmed and edited by Craig B. Highberger. Special thanks to Iowa State University SPCL Department and SSR staff for archival materials. © 2005 SSR. John D. Biggers, D.Sc., Ph.D.